The Gryphon GPS4400 will impress you with more than its design. The flexible presentation scanner additionally offers above-average performance when capturing 1D and 2D codes including postal and stacked codes, even from displays. The latter makes the GPS4400 the ideal helper for capturing discount and special offer codes, as well as customer cards, directly from a smartphone. It is also perfect for usage at the POS in pharmacies, retail, as well as the hospitality reception area. The housing sits on top of a flexible stand, and thus offers the optimal alignment for the simple and intuitive capture of barcodes. The proven scan engine, with the patented »Green Spot« good scan confirmation, features excellent scanning properties at close range, a wide scanning width and exceptional motion tolerance. The USB Plug ‘n Play port ensure smooth integration. 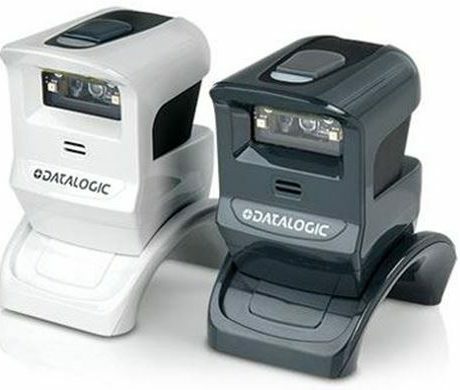 Configure the barcode scanner in the classical fashion via the manual or via practical utilities from Datalogic. A 3-year manufacturer’s warranty secures your investment and speaks for the longevity of the product.